Santa Ana, California) December 3, 2018 – Professional Coin Grading Service (www.PCGS.com) has authenticated the first known 1868/6 overdate Australian sovereign. The historic gold coin depicting a young Queen Victoria recently was submitted by a sharp-eyed professional numismatist on the Australian island state of Tasmania, and it now is certified PCGS AU58+. 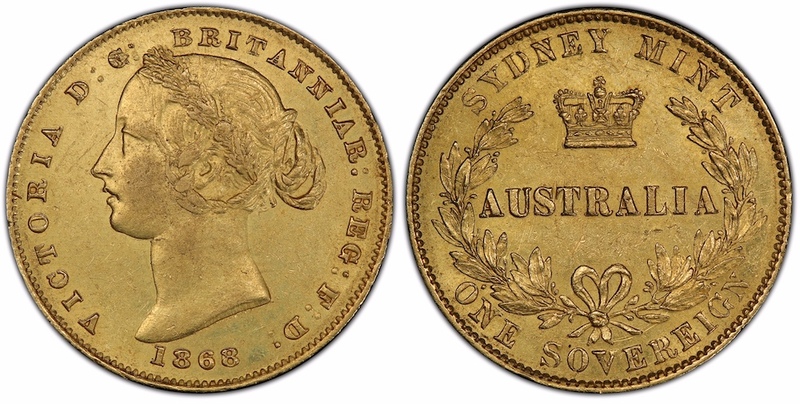 “The sovereigns from 1855 to 1870 are among the most important and valuable series in Australian numismatics. These were the first coins struck by the Royal Mint in Sydney that was established in 1855 as the first branch of the British Royal Mint,” said Scott Thompson, PCGS World Coin Department Manager. 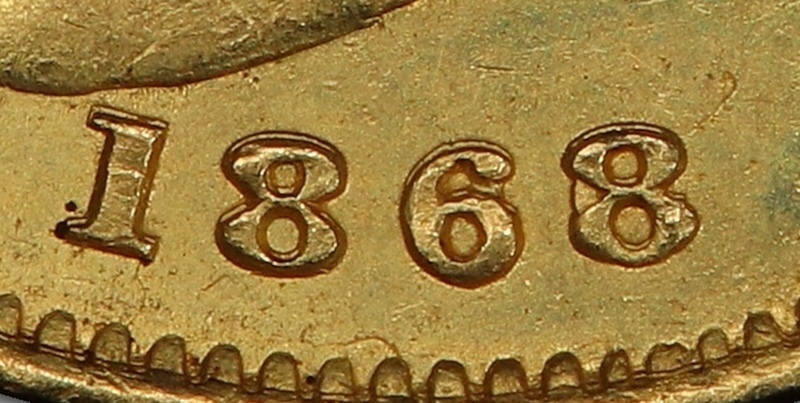 “These sovereigns have a distinctive ‘Sydney Mint’ reverse. This is the only time the Royal Mint permitted a design unique to a branch mint,” explained Thompson. “I have a keen eye for varieties and I enjoy finding and studying them. This particular coin was advertised at the time as being an 1868/6 overdate, although it was not formally recognized as such. I was skeptical at first but after enlarging images of the coin I could clearly see the overdate. I had to have it with intentions of having this variety authenticated by PCGS,” Haddad explained. “Since obtaining the coin I have researched images for this variety from past sales going back 30 years and have not seen another. There may be others out there but as I have not seen another, it may be the only example in existence,” he stated. The coin has been consigned to Heritage Auctions and it will be offered on January 6, 2019 in their New York International Numismatic Convention World Coins Signature Auction. How did the overdate occur at the Sydney Mint? “Logistically, getting supplies and skilled labor was challenging for the branch mints in the 1800s. Reworking dies and creating overdates was a practical solution for getting around the difficulty of obtaining new dies from the Royal Mint in England. Only a handful of overdates in the Australia sovereign series are known, and of those seen in person by PCGS experts, this 1868/6 is the most pronounced with a good portion of the 6 still visible underneath the 8,” said Thompson. Other overdate examples of the Australian Reverse sovereigns PCGS has graded are: 1861/0, 1865/4, 1865 6/5. There are some other combinations listed in numismatic publications, but not yet confirmed by PCGS. “In a series that is already rare, these overdates are in a category all their own. Many examples known today are unique, such as the 1868/6,” Thompson stated. Founded in 1986, Professional Coin Grading Service has authenticated, graded and certified more than 40 million coins. PCGS has offices in the United States, Paris, Shanghai and Hong Kong. For additional information about PCGS and its services, visit www.PCGS.com.